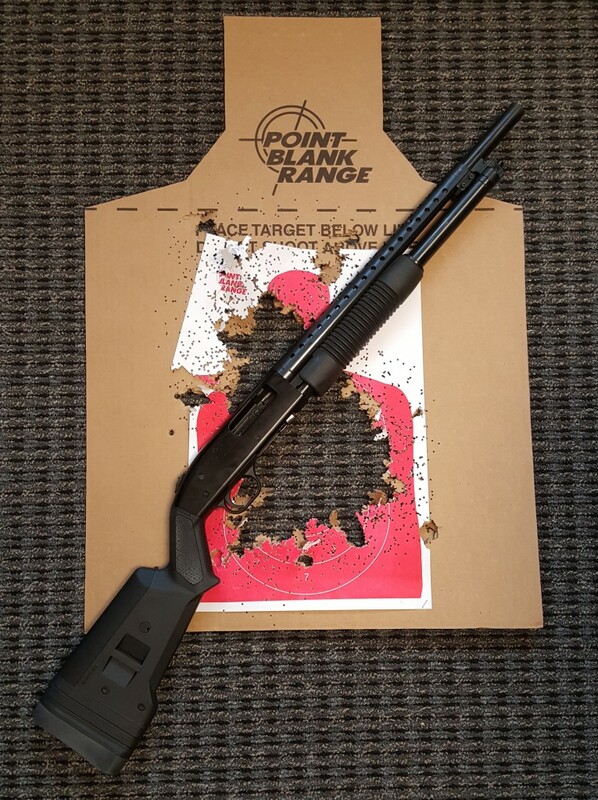 I’ve been an 870 fan for a long time. Preferring them over the Mossbergs, even though I’ve used 590’s as my Patrol Shotgun for some time… 870’s just seemed more rugged and smoother. Mossbergs have never been known for being smooth operators. But they do slick up nicely with a little work and use. Today I put a lot of use into one. With the intent of purposefully abusing it, and my shoulder, to see which would break first. I fired at least a hundred shells, all high brass, mixed of Buck, Slug, and various birdshots most of that being #5 and #6 hunting loads. I grabbed the shells blind and loaded them in no order. Just a random mix, with no purpose, other than to find any failure in the gun. What I found instead was an even greater respect of the Mossberg design, and the design of the Magpul stock. After so much abuse, my shoulder and my shotgun remain just fine. The recoil absorption of the stock is amazing. It made the session quite tolerable. 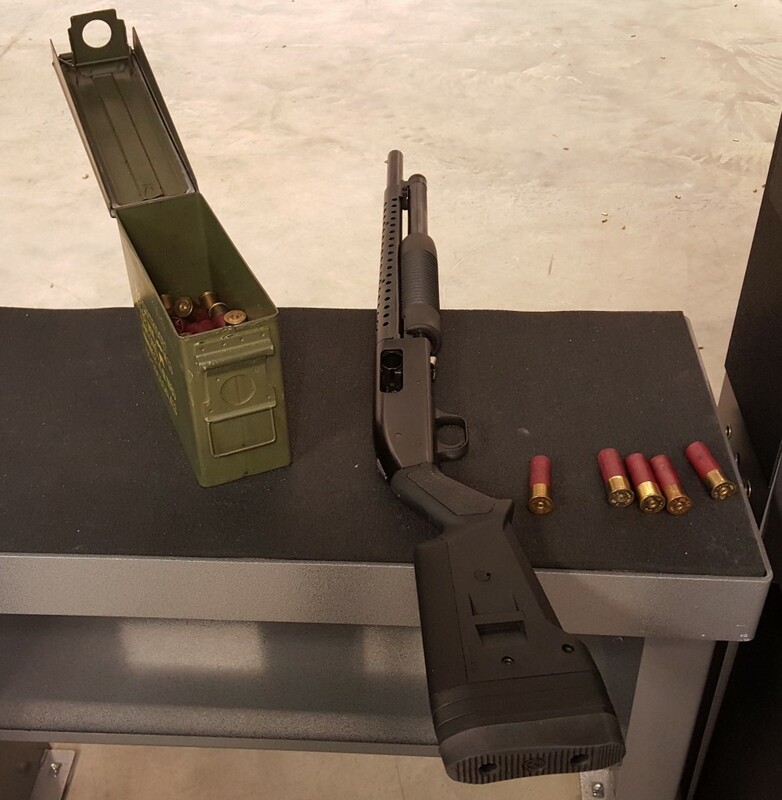 I really do like the Mossberg’s shell lifting mechanism over that of the Remington. Much easier to load and unload. This is a clear advantage over the 870 mechanism. And with the Magpul stock, a clear advantage in the position of the safety as well. The one disadvantage, from what I can see, is the inability to add an extended magazine or even a magazine extender. That’s just the 500 series. The 590’s don’t have that problem… and they sport iron sights… Which is why I dig them. If the factory mag capacity is a drawback for you, there’s always a Black Aces model. Same action, but uses Saiga mags, including the 20rd drums. I don’t get Mossbergs with pistol grips. You have this awesome ambi tang safety…then you add a grip that requires an awkward maneuver to reach it. That’s the truth. I’ve got a pistol grip on my 590 because I needed an adjustable length of pull stock for my wife. She’s a foot shorter than me and couldn’t run the gun with the factory stock. I should probably just put a youth stock on it and make it her dedicated gun. I tell people I don’t mess with her ’cause she’s little but she’s mean and partial to the 12 gauge. It makes them really cheap when you’re going to install an aftermarket stock anyway. Ah fond memories of the Mossberg’s. Had one that I ran a series of shells through it rather quickly and the (cast) shell lifter warped and I had to deconstruct the gun and replace it to get the gun functioning again….That said the Marines in the sand box love the (current) 500’s with short barrels for QCB.